It&apos;s Been Worth the Wait! As a 30 year-old research assistant at NASA’s Goddard Space Flight Center, I have a unique perspective of the Apollo missions. I was not alive when humans last walked on the moon; the Apollo missions were part of my parents’ generation. With live televised coverage from the lunar surface and glossy photo spreads in magazines, places like Tranquility Base, the Descartes Highlands, and Fra Mauro became familiar during the Apollo program. However after the final Apollo mission left the moon, many forgot these significant lunar landmarks. That changes today. 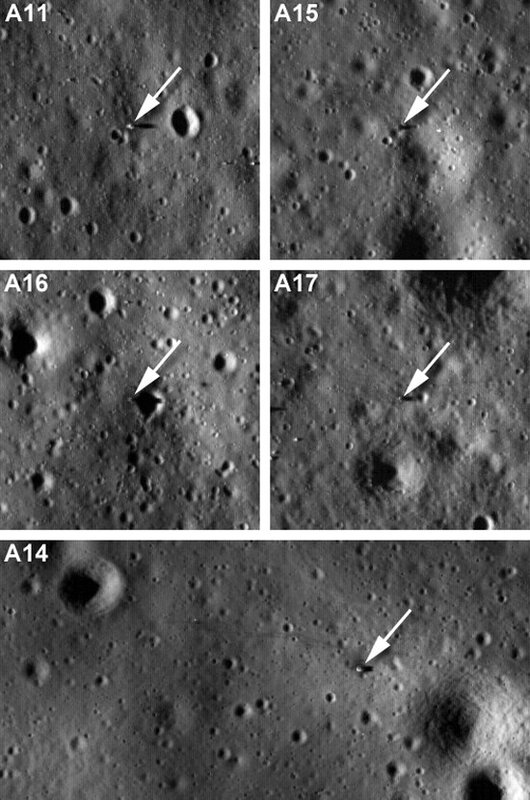 With the amazing images of the Apollo landing sites taken through NASA’s Lunar Reconnaissance Orbiter (LRO), the Apollo landing sites are once again significant for today’s generation. View other images of the moon in our blog’s Flickr gallery. The Apollo landing sites are no longer simply historic sites revealed through 40 year-old images taken by the Apollo astronauts. 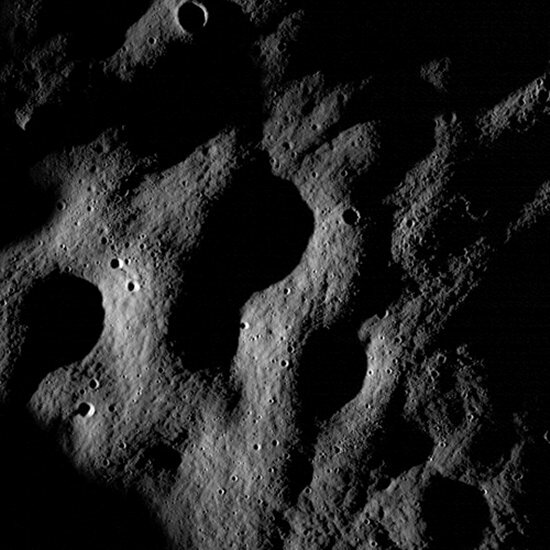 Instead, they are dynamic landscapes that can be seen in a new light through LRO. These special areas on the moon now have a new life, with the help of a reminder that 40 years ago humans spent days exploring the surface of our neighbor in space. For me, these photos have an additional dimension as they remind me of why I’ve always been interested in the moon. In the mid 1960s my father worked on the Apollo program, building parts for the astronauts’ backpacks, known as the Portable Life Support Systems (PLSS). At the end of each lunar landing mission, in order to reduce the mass launched into lunar orbit, the astronauts would toss the PLSS’ onto the lunar surface; they were left behind and quickly forgotten. However, those who built the PLSS did not forget them. Before the packs were finished and shipped off, the engineers would etch their signatures on parts of the PLSS frame. 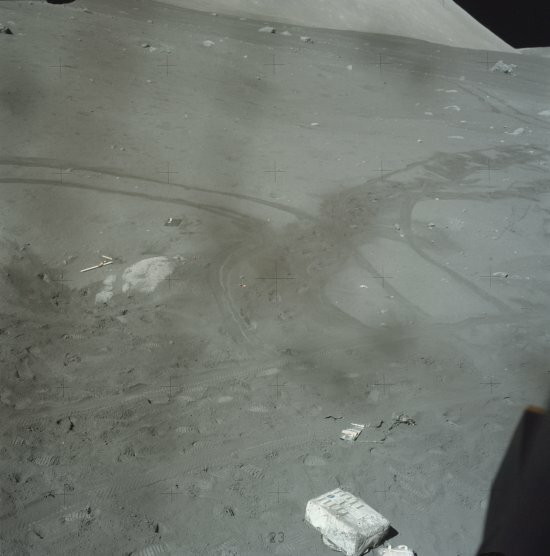 So when the packs were left on the moon, the signatures also remained as a permanent monument to their achievements. So now when I look at these amazing photos, I can’t see those backpacks in these images, future images of the sites may show them, but I do see places where my dad’s name will be found forever. LRO is an important mission for lunar scientists for many reasons. For me one of the most important reasons is that we’ll address many science questions that we’ve come up with in the 40 years since Apollo 11. How many craters have formed on the moon in the last 40 years? 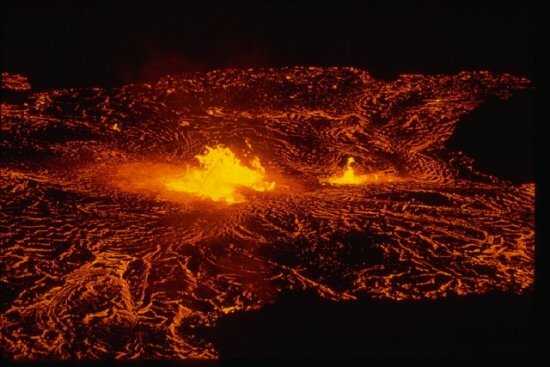 How deep are all those craters? LRO data will also help us plan for sending humans back to the moon, we’ll be able to find the safe and scientifically interesting places where humans can explore. So for the next decade or so, we will turn to data from LRO to select the places we want to send astronauts to for long periods of time. If I can’t be one of those astronauts, hopefully I’ll be able use the data from LRO to help train the astronauts that will go there. While the Apollo missions might have been for my parents’ generation, LRO is also for my generation, and for the generations that will follow. And maybe, one day, I’ll be able to get my name onto the lunar surface too! Author Posted on July 18, 2009 May 23, 2013 Categories UncategorizedTags Apollo 11, General, moon22 Comments on It&apos;s Been Worth the Wait! On June 29, 2009, as part of the LCROSS Observation Campaign, Paul Mortfield, an avid amateur astronomer and frequent contributer to NASA missions, took a series of images of the LCROSS Shepherding Spacecraft and Centaur as they passed through the night sky. 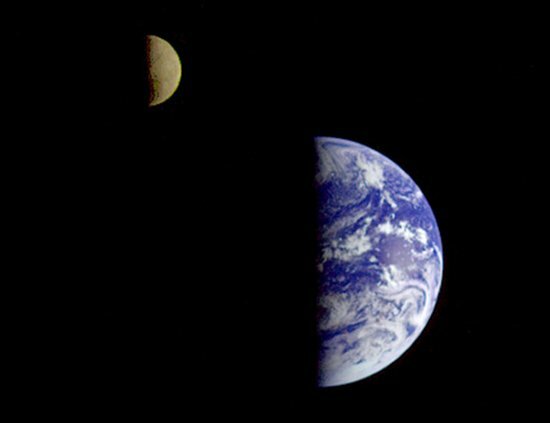 LCROSS is currently orbiting the Earth-moon system on its 5,592,000 mile (9,000,000 km) journey to the moon. Capturing these images is no easy feat. The spacecraft is only 47 feet (14.5 m) long with a diameter of 10 feet (3 m). 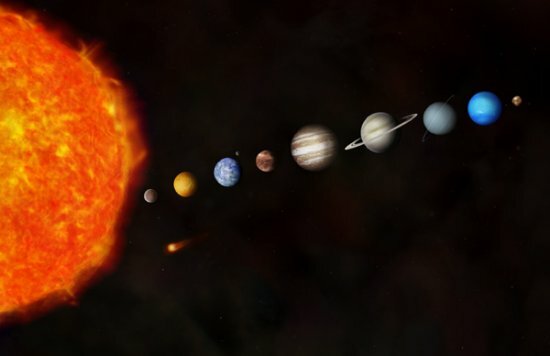 At the time of the images were taken, the spacecraft was approximately 288,100 miles (463,700 km) from Earth, traveling at a speed of 0.58 miles/sec (0.94 km/s). The images were taken with an Apogee U16M 4Kx4K CCD Camera attached to a Ritchey-Chretian 16″f/8.9 telescope and a focal length of 3,530 mm. The image scale is 1.04 arcsec/pixel and the frames were binned 2×2. Each exposure was 60 sec in length to show enough trailing of the spacecraft. Paul Mortfield here at Kennedy Space Center anxiously waiting to see my first launch. 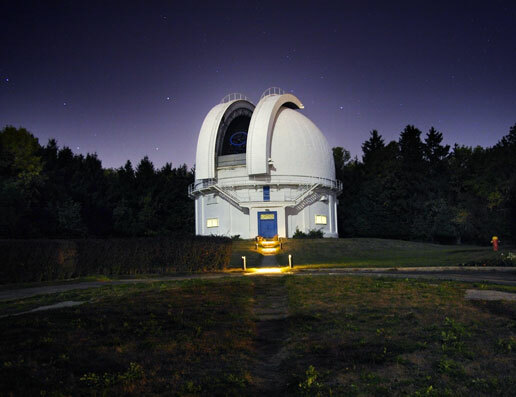 I’m with the David Dunlap Observatory just outside Toronto, Canada. The observatory’s 74″ telescope will be participating in the LCROSS NASA observation network for this mission. We’re excited to have Canada’s largest telescope participating and helping the NASA team. We just finished doing the LCROSS webcast at Kennedy talking about all the exciting things amateur astronomers and backyard skygazers can do to participate in this NASA mission back to the moon. Amateurs across North America have already been taking images of the polar regions of the moon to help characterize the region near the potential impact sites. We’re looking for many amateurs to photograph the impact plume to help the scientists further characterize it and compare the images with their observations from the huge telescopes in Hawaii. This is truly an exciting time and a beginning of new era of amateurs participating with NASA missions.